What a further frustration and annoyance that Derbyshire County Council has decided on more austerity cuts adding the loss of sponsored bus services and potentially council run libraries to the list (Derbyshire Times, April 5, More Council Cuts to Come). 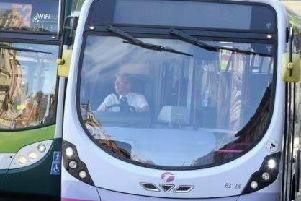 One particular evening, the bus service number 55a links up two of the county’s major towns in Alfreton and Chesterfield, offering a link through a selection of villages including Wingerworth, Pilsley, Morton, Stonebroom and Tupton. Sadly the first four will now have no bus service after around 6pm. All the more frustrating when you consider many people on or just above minimum wage, including quite a few who work in care services, rely on this service alongside other workers, plus social users of the two, all of course avoiding more traffic on the roads and the latter bringing in spending power into the towns and villages’ businesses of an evening. I take note of the Twitter comments recently in the paper which showed a lack of concern at the loss of further services in our county, with the thought that it was good because they don’t want their council taxes going to pay for some of these services, that is until at some stage its a service they require. While accepting that austerity is a political choice the question has to be asked: how far do we want to go in the race to the bottom with these cuts? Surely we are losing the fabric of our society as we slash away at whole range of services and leave people more isolated. I guess though the Conservative controlled county council cannot have bias levelled at it because its own leader, Coun Barry Lewis, is indeed the representative for Wingerworth and the latest move will leave his constituents stranded without an evening bus service. Going forward, let’s hope the county council will show some compassion for the once superb services offered within Derbyshire. 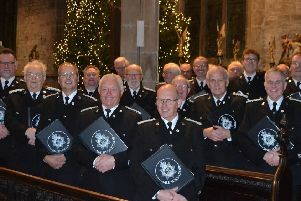 LETTER: an all-male voice choir has nothing to do with sexism. Top cop should stick to enforcing the law.